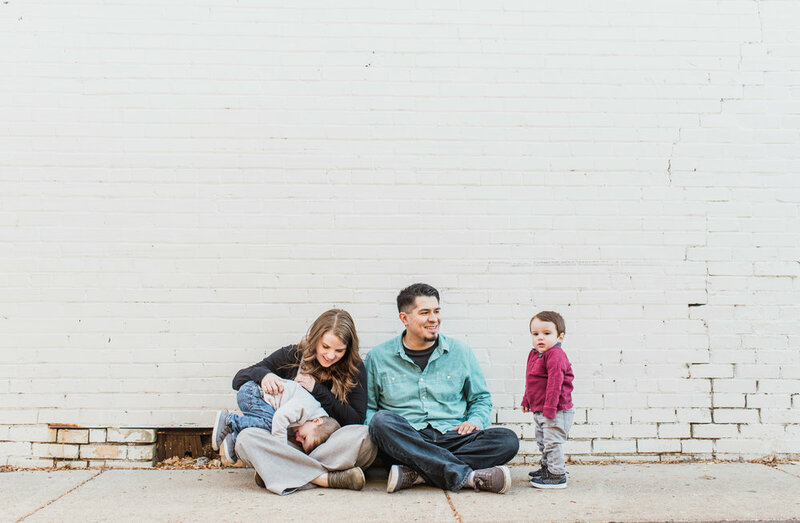 My approach to family sessions is all about play, creating connection and embracing whatever stage of life your family is in. For some, that stage is beautiful choas. For others, its about just getting to actually be all together in one place finally! Whatever stage you are in, we can create something beautiful and most importantly, meaningful! I like classic smiling shots just as much as the next person, but what I really want to create for you are images that capture what life is really like for you right now. I want to capture your relationships! Magic happens at family sessions when you simply focus on each other and have some fun! 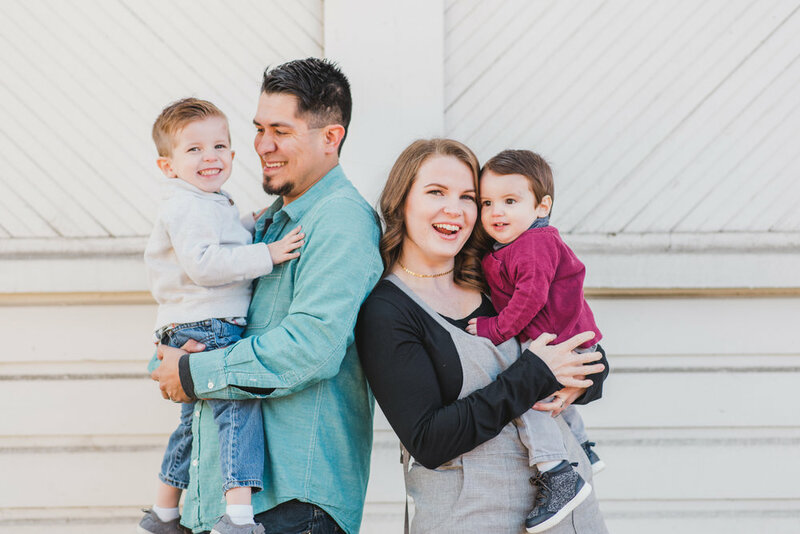 You will have the best possible experience if everyone is feeling stress free and happy, so ive put together a guide to help ease some of the stresses of prepping for family photos! All you have to do is contact me and we will plan your perfect family session! Here are some of the beautiful families I’ve been able to create memories for! See what they thought about the experience we created together! She knows what she's doing and is absolutely AMAZING at it!!! You cannot go wrong with hiring her! Kristi is absolutely incredible!! She makes you feel so comfortable and natural while capturing the most amazing and genuine images! We have a shy, but crazy 2 year old and she got him to smile so easily and captured him perfectly! There was a lot of play and we were relaxed to get good photos! Kristi somehow got pictures where we all looked good! Like gooo-ooood! My 5 year old had bossy opinions and she just went with it and let him have his say and then convinced him to follow our directions! The back end was great too! Beautiful touch ups, and quick turn around! Online Gallery of high resolution images that provide instant access and easy sharing! Want to see more adorable families ive had the pleasure of working with? Check them out here! Kristi did the most wonderful job with our family pictures! The “poses” she had us do felt and looked so natural, and were more about us interacting as a family than in getting that forced pose look. She knew how to handle my crazy 2.5 year old, and for once I didn’t feel stressed about getting him to hold still. Our pictures are absolutely stunning, and we received them so quickly! We had a fantastic time shooting and got beautiful pictures as a result. 10/10 times a thousand would recommend Kristi! "My family pictures literally make me feel joy! Not only is she immensely talented and her work is beautiful, but she is genuinely kind, caring, careful, wise, and compassionate. Just being in the room with her inspires you! She is a wonderful human being that you MUST hire as your photographer!" You ready? Lets do this! Northern Utah Based & Always Happy to Travel!